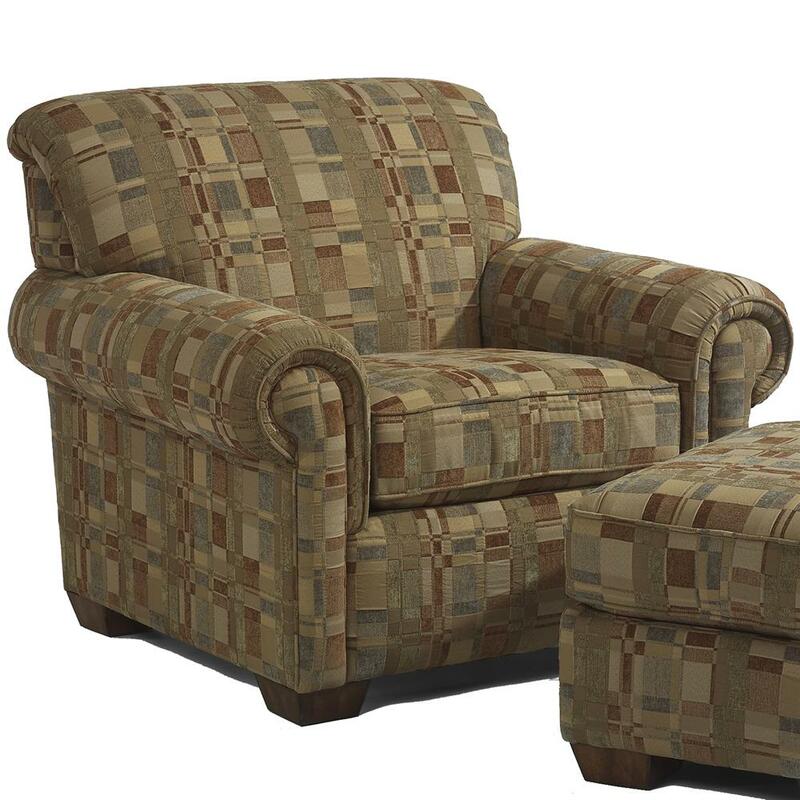 A traditional style and comfortable area is what you will get from this chair. 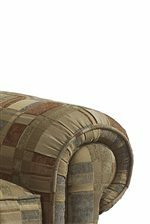 Beautiful accent upholstery, low profiled rolled arms and block feet make this piece of living room seating a wonderful choice. Add it to your dining room, family room or even your bedroom for extra function and a great place to kick your feet up and relax. The Main Street Traditional Chair with Exposed Legs by Flexsteel at Virginia Furniture Market in the Rocky Mount, Roanoke, Lynchburg, Christiansburg, Blacksburg, Virginia area. Product availability may vary. Contact us for the most current availability on this product. The Main Street collection is a great option if you are looking for Traditional furniture in the Rocky Mount, Roanoke, Lynchburg, Christiansburg, Blacksburg, Virginia area. 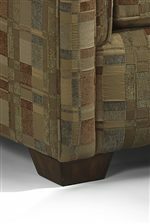 Browse other items in the Main Street collection from Virginia Furniture Market in the Rocky Mount, Roanoke, Lynchburg, Christiansburg, Blacksburg, Virginia area.